With a few clicks in the AWS Management Console, customers can provision a high-quality desktop experience for any number of users at a cost that is highly competitive with traditional desktops and half the cost of most virtual desktop infrastructure (VDI) solutions. End-users can access the documents, applications and resources they need with the device of their choice, including laptops, iPad, Kindle Fire, or Android tablets. Amazon WorkSpaces is a tool in the Virtual Desktop category of a tech stack. 4 companies use Amazon WorkSpaces including HigherMe, Amazon, and Shelf. Here’s a list of reasons why companies and developers use Amazon WorkSpaces. Here are some stack decisions and reviews by companies and developers who chose Amazon WorkSpaces in their tech stack. As a AWS-secured bastion host to connect to my infra. As a "research machine" that I can use its upstream and downstream speed to do google searches, computations and downloads (only my 1Gbps office network beats their ~500mbps downlink speed; articles load in the blink of an eye; any download is almost instant). A mini-staging environment that also has great connectivity. And an extension to my current Desktop. Show more stack decisions and reviews about Amazon WorkSpaces. Support Multiple Devices- Users can access their Amazon WorkSpaces using their choice of device, such as a laptop computer (Mac OS or Windows), iPad, Kindle Fire, or Android tablet. Keep Your Data Secure and Available- Amazon WorkSpaces provides each user with access to persistent storage in the AWS cloud. When users access their desktops using Amazon WorkSpaces, you control whether your corporate data is stored on multiple client devices, helping you keep your data secure. 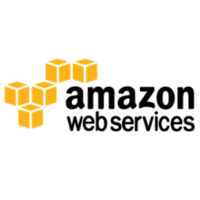 Choose the Hardware and Software you need- Amazon WorkSpaces offers a choice of bundles providing different amounts of CPU, memory, and storage so you can match your Amazon WorkSpaces to your requirements. Amazon WorkSpaces offers preinstalled applications (including Microsoft Office) or you can bring your own licensed software. Pay as You Go- Amazon WorkSpaces requires no upfront investment and features pay as you go pricing. With a few clicks, you can provision the number of desktops you require and you pay only for what you use. Integrate your Corporate Directory- Amazon WorkSpaces securely integrates with your corporate Active Directory so that your users can continue using their existing enterprise credentials to seamlessly access company resources.